Every year, my husband and I sit down with a pen and paper and watch movie trailers on YouTube. We lay out our movie dates for the entire year in my planner. It's a commitment to our relationship and one of our mutual hobbies. This year we bought MoviePass cards to help us save money on what can sometimes be an expensive hobby. The first movie we watched once the card arrived was not The Shape of Water. That was actually third on the list. First, we saw Downsizing (seriously, Matt Damon?) and then was the Jumanji remake, which was just the right dose of nostalgia. December 2017 was an epic month for new releases and many of them-The Greatest Showman and Pitch Perfect 3-remain on our list for January date nights. 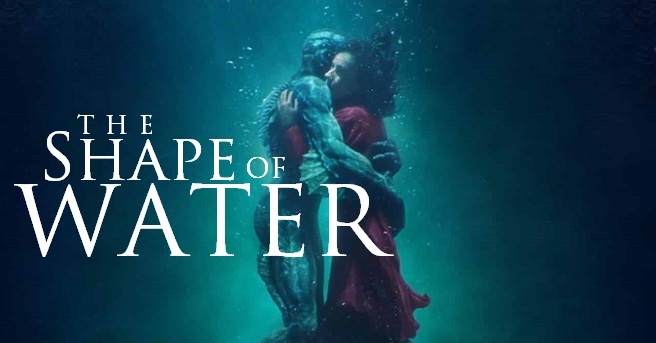 Only one theater near us was showing The Shape of Water, and so Jeff, myself, and a couple of friends carpooled to the theater to watch this masterpiece. The cinematography is beautiful, the film is realistic and raw, and it's just the right amount of political. It speaks to history, that which has already been made and that which is in the making. I could watch this film again and again and take away something new every time, I think. None of that is what I'm really here to write about today. This film was impactful for me in a different way. I often speak to my clients of glasses. I wear them, so it's a metaphor I can use and manipulate easily from personal experience. Maybe it was because all of the handicap parking spaces were full that night, or because we had to walk from the very end of the mall parking lot and stand in a long queue that could have been better served by more than two employees, or the people who made a wide berth aroun my husband's cane instead of jostling him (thank you, strangers)... Whatever the reason, my caregiver glasses were on that night, much like a pair of 3D lenses I have to maneuver over my own glasses. They highlighted parts of my world while casting others into the shadows. It's hard to watch the person you love suffer. As a caregiver, having a spouse that is ill or injured in some way is a dynamic balance of energy. Every groan of pain or resurgent symptom saps energy, and every success or good day renews it. It's precarious and it's exhausting. The Shape of Water highlights this in so many ways. During the beginning of the film, I found myself admiring Eliza. Her "morning" routine is so precise and rhythmic. I was envious. I found myself slipping away from the movie to evaluate how much time I spend on various activities and those that nourish me versus waste my time. It was a practice in mindfulness to draw myself back to the story. As the movie goes on, her routine changes. This is where it struck me that when rehabilitation changes after an illness or injury, our routines as caregivers change too. Sure they adapt, but they don't always necessarily bounce back. I cannot even remember what my routine used to look like before. I like to imagine it didn't involve picking up pill bottles the cats have knocked off of the nightstand, or the question I have asked so many times that sometimes the words sound weird aloud: "How is your pain today?" I've been simmering on this idea of routines lately. At work, I have structure, deadlines, accountability. It's not like I don't have those at home, but they're different. The structure is only there if I decide it is, we miss self-imposed deadlines, and we are accountable to no one but ourselves. We prioritize the crucial things, but everything else just bleeds away until we remember it months down the road. It occurred to me earlier this month, as Jeff's pain has worsened and we have had to abandon things we had built into our routine, that I am scattered. I thrive on structure, but not sameness. I'm a spontaneous girl, but I don't relish big changes. Lacking a cohesive routine has actually made it harder to adapt to the changes my husband is going through. Frankly, tt's been harder to bounce back. "How we spend our days is of course how we spend our lives." In 2017, some of my routines were absolute crap. I spent far too much 2017 time browsing the internet in the morning, and it doesn't have an appreciable positive effect on the rest of my day. Instead, I would rather spend this time listening to good music and dancing while I get ready for the day. I can't make my bed right away because it takes my husband much longer to get up and moving, but maybe we could both try waking up earlier so we could accomplish this before I have to leave for work. I also rarely ate breakfast at home. I got into a habit of throwing something heavily-processed into my purse (and hoping it wouldn't make a mess) and dashing out the door early to be at work before everyone else. I had this immense occupational anxiety in 2017 when in reality I didn't need it. Sure, it probably made me look like I was on the ball, but it also made me look and feel like a workaholic. That was the time I could have spent making a nice meal for my husband and me to share at the dining table, so we could both start our days on the right foot. He's more than capable now of fending for himself, but what I do with my morning routine affects his. In the evenings, we stayed up late and woke up early, which didn't do wonders for the 30lbs I had managed to lose the year before. I ate right before bed, didn't wash the makeup off my face, and didn't wind down from whatever nonsense television show we binged after I got home from work. The television became a little too familiar. I started dreaming in dramedies, people. Not a good sign. Let me tell you, this was the most impactful. Not walking first thing in the morning or in the evening after work...I can feel it in my body. I can see it. Without the walks, my husband and I don't share in those same engrossing conversations anymore. As my husband's pain got worse, he stopped walking with me. Over time, I just stopped too. I started journaling and I learned it helps me unload before bedtime. I tend to sleep better when I've released whatever melodrama bothered me during the day onto the page. In 2017, I also learned that I love putting stickers on things, possibly even more so than I did as a child. I jumped on the Happy Planner bandwagon, and I haven't looked back since. I have repurposed planners into journals, dream logs to mine for novel ideas, chore charts, fitness logs...you name it, I tried it (even if I didn't keep it). In 2017, I started reflecting on routines. Watching The Shape of Water with friends and my husband was a fun. We all had a good night at the theater and a hearty discussion on the car ride home about foreshadowing and the metaphor of necrosis (you'll see). We came home and chatted for another hour and made plans for another movie night. But that night, I realized that The Shape of Water made clear what I had been mulling over for months. It cracked a code I couldn't: routines have ripples. No pun intended, but it's true. My routine affects my husband's. So does my lack of one. As a caregiver, it's easy to lose sight of this, especially when your routine is spinning out of control and you feel like you're in survival mode. So my new year's resolution is to build a routine. Not just a temporary band-aid routine that will slip away in time, but little by little and act by act, I will build a routine that serves me well. One that sparks joys and energizes me and my husband. A routine that is adaptive, just like us. A routine that nourishes even when we have a hard time nourshing ourselves. Because The Shape of Water taught me that 2017 was a shitshow for a lot of people (you're not off the hook, 2016) with bad acting and a sorry excuse of a plot, but there are plenty of beautiful, meaningful, and movies stories out there to be told.